Kubrick hints at his other work in the movie! Stanley Kubrick directed this film in 1971. 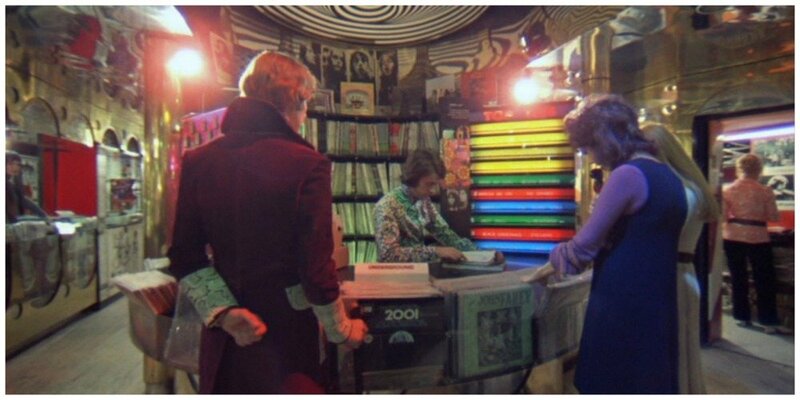 In fact, in the scene where Alex approaches the two girls in the record stand, you can see the original soundtrack for 2001: A Space Odyssey, one of his most famous films. In the above photo, it is directly to the right of Alex. How controversial was this movie? Read on!